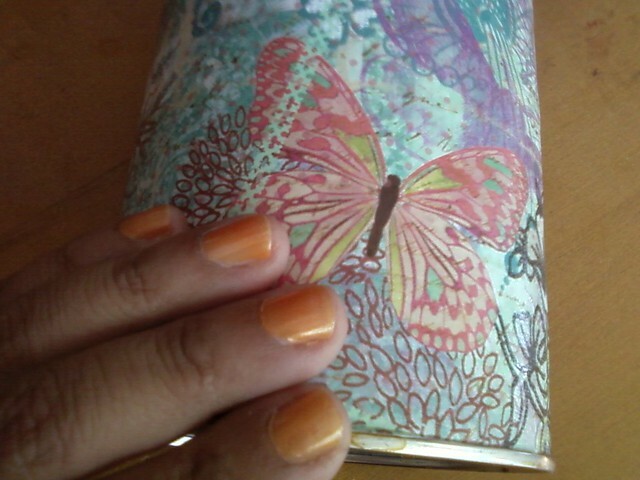 I had just Mod Podged some scrapbook paper onto an old oatmeal container when I took the pic. That looks like a shade that would flattering to my skin tone! What color is that?